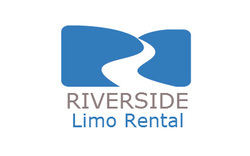 If you're looking for a fun night on the town, look no further than Riverside Limo Rental. We get you to your destination on time and in style. You travel by way of a fancy limo, that is, if you're looking to do it big or a chauffeur driven SUV if you're just looking to play down your celebrity. We even have that classic car to show off your elegance. Doesn't matter what limo you choose because you will still be the star of the show when you step out of one of our vehicles. There are many places that you can choose to eat and drink when you come to Riverside. There are places the locals know about that may not be known by visitors, and we know the area very well. You give us the event and we will be happy to give you some ideas for possible locations. Dancing maybe your thing and with the city's array of nightlife when can help get you there and home in style. For those that are with friends or even alone, you can never go wrong with a few pins of bowling, a meal, and a few drinks at the local bowling alley. Top off your awesome evening with a movie at one of the many Cinema Theaters in the city. Then if Riverside isn't enough we can drive you to our sister city Los Angeles. Los Angeles is the movie premiere capitol of the world and Regal Cinemas at LA Live has that for you as well. Come ride with us, have fun, relax, and feel like a star. Whatever you choose to do for your night out on the town, to make it the best ever, Riverside Limo Rental will make sure you get to your destination with the appearance of a star. Give us a call when you are ready to ride like a star.